City Council Officers took action against more than 1,700 Taxi and Private Hire drivers over 2018, in a move to enforce licensing laws and ensure public safety. Licensing Teams worked alongside Merseyside Police to crackdown on 1,733 drivers who broke the rules. The majority of those were from Liverpool, but drivers from as far away as:- Wigan, Burnley, Wolverhampton and Thameside were also caught in the year long campaign. In total, 323 drivers were given written warnings for a variety of offences including:- failing to wear a badge, using an unlicensed vehicle and failing to ensure the safety of passengers. 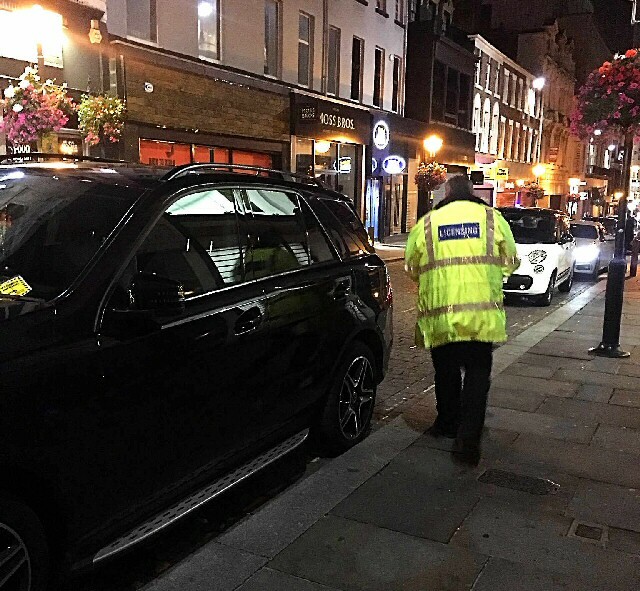 The Council issued fines to 1,185 drivers mainly of private vehicles, who illegally parked on Taxi Rranks; a particular concern for the City's Hackney Carriage drivers. Throughout 2018, the Licensing Team took part in an ongoing operation to crack down on Private Hire drivers plying for hire and Hackney Carriage drivers cherry picking fares. Plying for hire without a licence means accepting a fare which has not been pre-booked through an operator, which can invalidate the insurance for the journey. Whilst cherry picking refers to Hackney Carriage drivers who overinflate fares to journeys both inside and outside the Liverpool boundary. Liverpool City Council's Cabinet Member for Transport, Cllr James Noakes, said:- "As a Council, we are committed to protecting the public and making transport around our City as safe as we can. People who live or work in Liverpool or come to the City for entertainment should have the reassurance that they can rely on Taxi and Private Hire trade, to provide a fair service, that abides by the rules. In Liverpool, the vast majority of our Taxi and Private Hire drivers are responsible, play by the rules and share our concerns for public safety. As these figures show, where we find evidence of wrongdoing we will not hesitate in taking action. We have also listened to the concerns of the City's Taxi trade, particularly around parking on Taxi Stands. We work closely with them and we have taken action. The end of year figures are also a testament to the hard work and dedication of the City Council's Licensing Team, who are out and about at all hours of the day ensuring the streets of our City are safe." THE 2M shipping line alliance has confirmed that Liverpool will become a permanent call on its TA4 service connecting Europe with several US ports. The move follows the introduction of a temporary call in July 2018 resulting from continued disruption at the Port of Felixstowe. The service is currently used to export UK cargo such as food produce and retail, but also is attracting interest for trade in manufacturing and industrial goods. Mark Whitworth, Chief Executive of Peel Ports said:- "The tide is clearly turning in Liverpool's favour as shipping lines and their customers see the evidence for how our location can benefit the whole supply chain. The South East has congested ports, an acute haulier shortage and major concerns about the impact of Brexit on continental trade. The logistics business is naturally risk-averse, especially in these unprecedented times, but it's clear that the rewards are there for those prepared to take bold moves." Paul Kelly, Supply Chain Manager for YKK (U.K.) Ltd said:- "The solution streamlines our supply chain, reducing mileage, carbon usage and costs. Working with Peel Ports, MA Logistics and MSC, we've been able to use the proximity of Liverpool to our Runcorn base and this new transatlantic service to benefit both the environment and our operations." Asbjorn Kops, Trade and Marketing Director of Maersk said:- "Switching our transatlantic service temporarily to Liverpool allowed us to maintain our comprehensive UK offering with a wide range of connections to our global network. Based on demand and interest from businesses across the North West we are pleased to be making this change permanent." Dan Everitt, Managing Director of MSC UK said:- "MSC has been connecting Liverpool to global routes since 2001 and the Port of Liverpool is an integral part of our UK logistics network. The change we made on this service has worked for us and our customers so it makes business sense to continue it." Earlier this year Peel Ports introduced a rail freight service directly from the Port of Liverpool in partnership with DB Cargo. 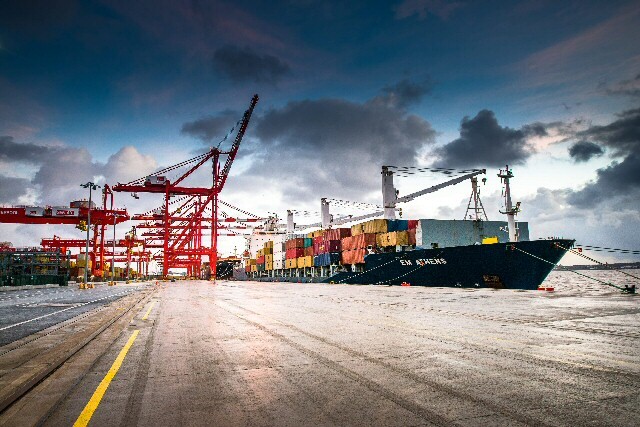 It is now the only major UK container terminal to offer tri-modal connectivity, with road, rail and water, the Manchester Ship Canal, plus short sea shipping.